As some of you know, I have a tendency to see things as half empty, but lately God has been showing me just how wonderful life is. The day before Thanksgiving I had an extended family member attempt suicide (bare with me this all will have a full circle positive point). My Aunt and Uncle were devastated because it is my Uncle’s sister. After surviving their son’s death just under two year ago, to have a family member willingly attempt to take their life just seemed like too much. As I listened to my cousin telling me everything, the only thought I could think was, “Is everyone OK? Well if everyone is alive, we can take the next steps.” I made my way to my cousin’s house and we got ourselves ready for a dinner we had already promised to be at. While we were on the way there, I asked her if she was emotionally OK and if she needed to, we could go home. I was running my first 10 K the next morning, so I could opt out of dinner happily. She said she would rather be at dinner to keep her mind off of things. Well, after dinner we ended up going out to a few bars after. Not the smartest choice, because it lead to my cousin breaking down. On the way home, she kept crying and blaming herself. She said she should have died instead of her brother, that her brother wouldn’t let her aunt become so depressed she would want to take her own life. I told her that each of us make a decision each morning when we wake up. And while her aunt may be depressed, maybe now we can help her get the treatment she needed. Once I got my cousin to bed, I passed out because I needed to be at my 10K at 6:30. When I woke up the next morning I was exhausted beyond belief, but I made it to my race. Now, I will totally admit I have not been training for this like I said I would. In fact, I had been wallowing in self-loathing over the 250 papers that had been in my car to grade. I allowed myself to get to that point, but I also knew that completing this 10K had to happen. It was something I had been working for over a long period of time. Now, when my cousin died our lives changed. My cousin Rachel, his surviving sister, she is my sister pretty much. I love her so much, we do everything together. But when her brother died, she became lost. She found herself through working out, well really she let herself get lost in working out. Working out was a way to control all the madness around her. And because my cousin died from still unknown causes of liver and kidney failure, we have all been a little cautious. My older brother started dieting like a mad man, not wanting diet to be the cause of illness. Each of us took to healing in a different way. For me, I have never been good at dieting. In fact, to me the word dieting has the word die in it. I personally don’t like that. But, what I do like is running and yoga. 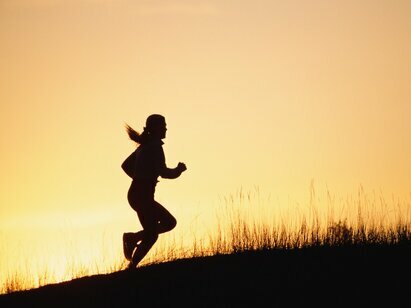 Now I am not a great runner, but when I am in the zone, I just feel the run. It feeds my soul like yoga. It is me and the trail. And so I decided I would start doing runs. I was already a yogini, so that was just in addition to my running. When Anthony (my cousin) first died, I wanted to do a half marathon, but everyone told me I was too out of shape to do it. I had never even done a 5K, so everyone said to start with a 5K, and I did. 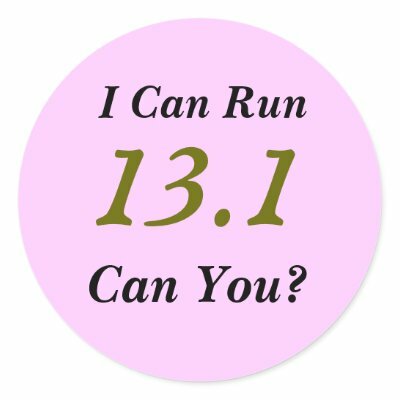 I have done 3 5K’s, 1 10K, and I will be doing my first half marathon in January. With each run that I do, I dedicate it to my cousin and God. God has given me this day, this moment, this breath in my lungs, and these legs that carry me. If I fail, I fail because I chose not to practice, I chose not to train. No one stands in my way, but me. All right, you get it, right? It doesn’t stop there. No, thankfulness for my body, my breath, my life isn’t really enough for me. I started thinking about the opportunities before me. I am so not in the job I want to be, but really, every single one of my needs is met. HELL, my wants are even met! I got a new car this year, I got engaged this year, in a few weeks, I will be debt free (well minus the car payment). I am so blessed at every corner I turn. I really cannot be on my knees and thankful enough for the blessings the Lord has bestowed on me. The other night, I literally cried. Not because I am cheesy, but I am not nearly thankful enough. I am Catholic, and this is one of the season’s that we are supposed to rejoice in. It is the season that our Savior, Jesus Christ, was born. How can I not be happy in my heart for that? How can I not be happy that even though I am a flawed creature, tomorrow I can start new knowing that I am forgiven of my sins because of this person. Even if you are an atheist, or a non-believer, most people believe in rectification of wrong doing. We all seek forgiveness for ourselves and for others, and through forgiveness comes love and thankfulness. EVERYTHING, goes hand-in-hand. You are a fool to think it doesn’t. And so, in both the spirit of the season and of my experiences the last few weeks, I wish and hope each of you can look within and see what there is to be thankful for in your own lives. Each moment is one to give up, and give praise for. If nothing else, you are alive one more day, make it count. Post Script: After finishing this post, I was notified there was a shooter loose on the campus that I work on. I normally go to work at 4:30, but today I didn’t. No one has been hurt in the incident, but most teachers and students have been locked in for over three hours. If that isn’t the Grace of God and reason to be thankful, than I don’t know what is. This is one thankful woman.